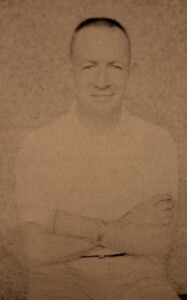 Coach Pendergast was Truckee’s 4th coach. Coach Farley has moved on from Truckee High as he is not in the 1960 yearbook. Again another coaching change equates in a tough season for the Wolverines. 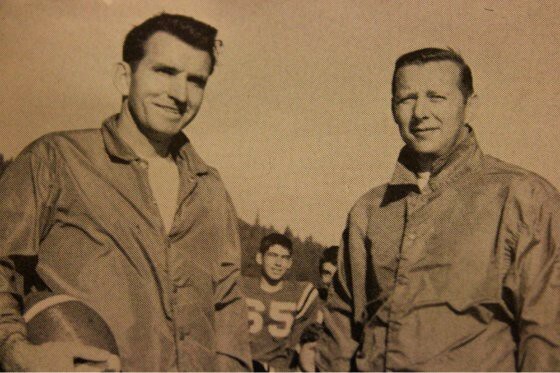 Coach Pendergast was Truckee’s coach in 1960 and there is no record of wins and losses but by the coach’s comments it appears that Truckee might have not won a game in 1960 or at best won two games. Truckee played pretty much the same schedule as the year before as far as I can tell. The JV right up has a little more information but still no game scores. I am leaning towards Truckee being 0-9 in 1960. Coach Pendergast actually apologizes to the seniors in the yearbook saying, “…we are sorry for the seniors sake that the season was so dismal.” The JV writeup in the yearbook at least talks about the team winning games but the Varsity only talks about being close in games and that the players improved. coach Pendergast also mentions that there were only five returning players from the 1959 team which would have an enormous impact on their record. So, again an inexperienced team combined with a coaching change is difficult to overcome. Truckee follows up its best season with a season to forget. 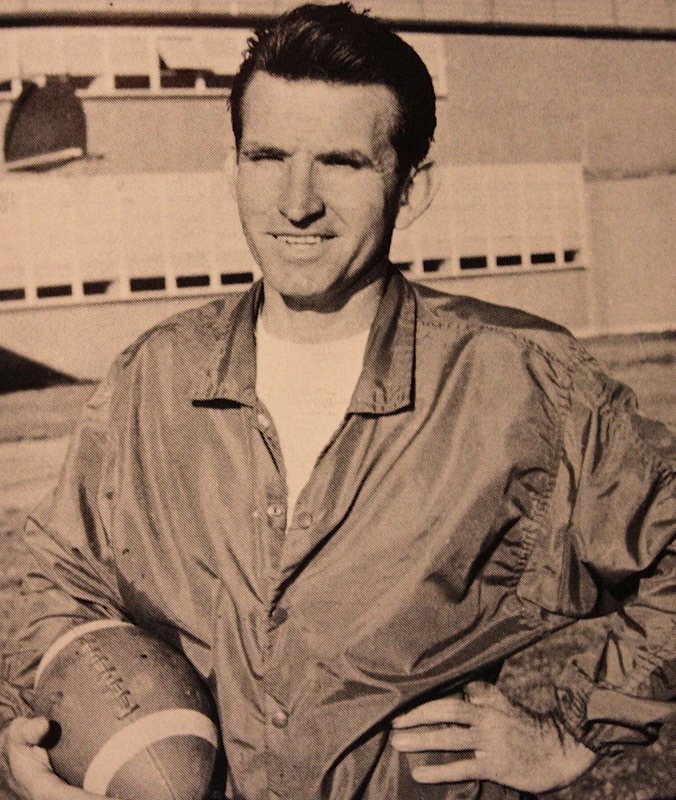 It was Pendergast’s only season as coach of the Wolverines. I’m not really sure of the situation but Pendergast was more of a basketball coach. So, maybe he just filled in for a year until Truckee could hire someone. Farley might have left last minute. You can see Smart’s Cafeteria, currently Zano’s. The Smart’s have been doing business in Truckee for many years. the years to our football program and players. Known as the Jersey deal, players were allowed to eat all the food they could stack on a plate for just 5 dollars. Brian’s boys, Ryan and Kurt, are also Truckee graduates who currently are coaching in the Pop Warner program following in their father’s footsteps. Both will be mentioned later in their playing days. A lot of the business either moved downtown or went out of business when I-80 was finished. Highway 40 was the old route to Reno and travelers were forced to come through Truckee. Once I-80 came in the travelers were past Truckee in a blink of an eye. One of these businesses was Smart’s Caféteria. 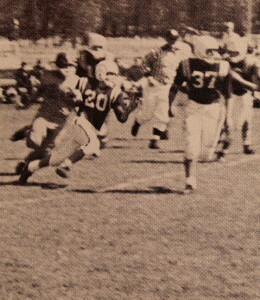 The 1960 team featured 26 players and 11 players were seniors. However, only 5 letterman from the following year played football, so the team was very inexperienced. Pendergast was Truckee’s 4th coach in just 9 seasons. 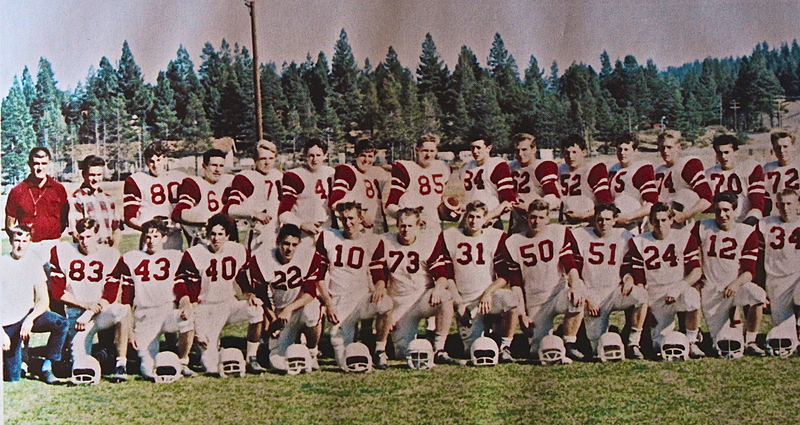 South Tahoe won the Nevada A State Championship in 1960, so I would doubt if Truckee beat South Tahoe in 1960. 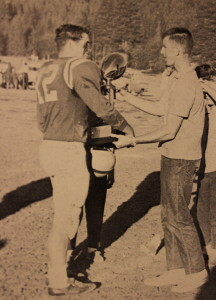 (12) Milton Batt takes the “Big Game” Trophy back. The Rivalry now at 3-2-1 in Truckee’s favor. were shutout 3 straight games starting with a 0-26 loss to Colfax. The next week Truckee would lose to Carson at home 0-13. But the sophomore, James Moore, had a good game capturing the player of the game award. 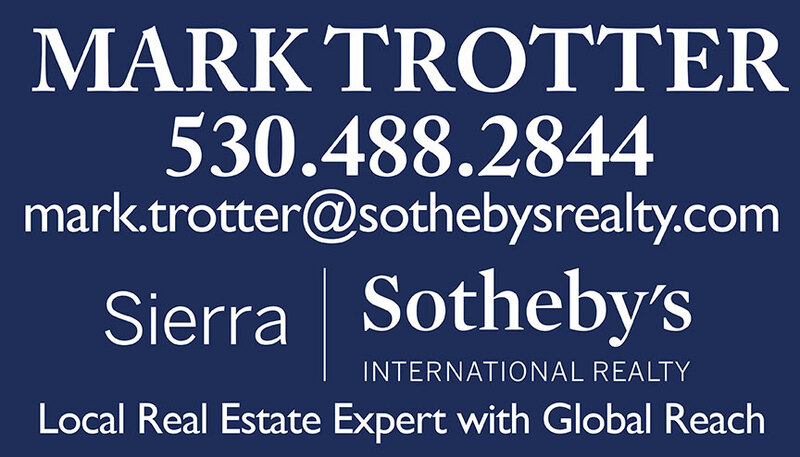 In week 5 Truckee faced off with South Tahoe in the “Big Game”. The Wolverines lost 25-0 and had to return the “Big Game” trophy. The series now at 3-3-1. 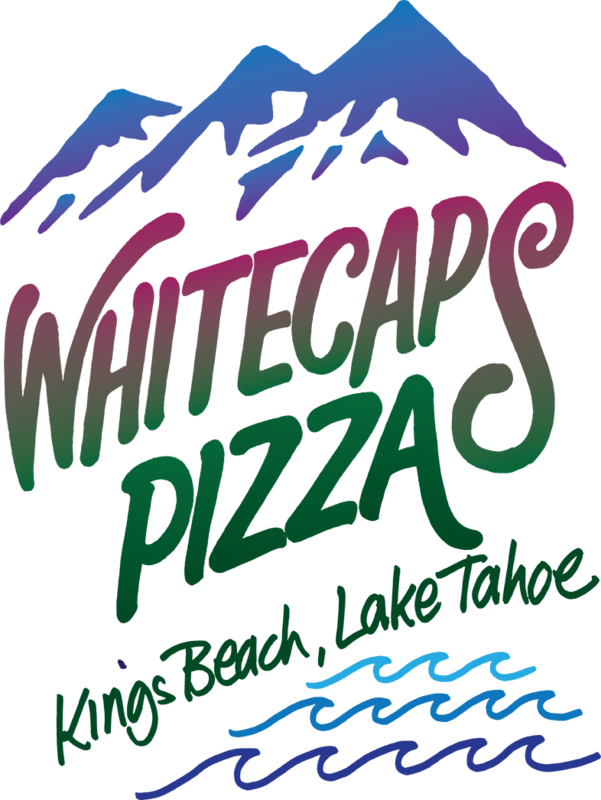 South Tahoe at this point was very strong and Truckee after having success playing in Nevada is struggling with their new California schedule. The teams Truckee is facing have much higher enrollments and have very strong football programs. In week six Truckee faced Highlands High school. A school on the outskirts of Sacramento and again Truckee lost but at least scored a TD making the score 6-27. Then Truckee had to play Wheatland who was coming off a really good season and the Wolverines lost 20-40. In the last game of the year Truckee lost to Del Oro 14-35. Truckee scored just 58 points all year and clearly struggled offensively regardless of having a very talented backfield. There is not a lot of information about this season but the coach said spirits were high throughout the year regardless of their struggles. The JV team had a much more promising year going 3-4 and giving some hope to the future. Joe Straub a long time local was a halfback on this team and was voted into the Truckee Hall of Fame in the spring of 1963.
want to speculate which games were won and lost. But I think Truckee ended up with the “Big Game” trophy last putting the rivalry at 4-3-1 in Truckee’s favor until a Viking can prove me wrong. This team had 34 players on it and 20 of them were juniors. 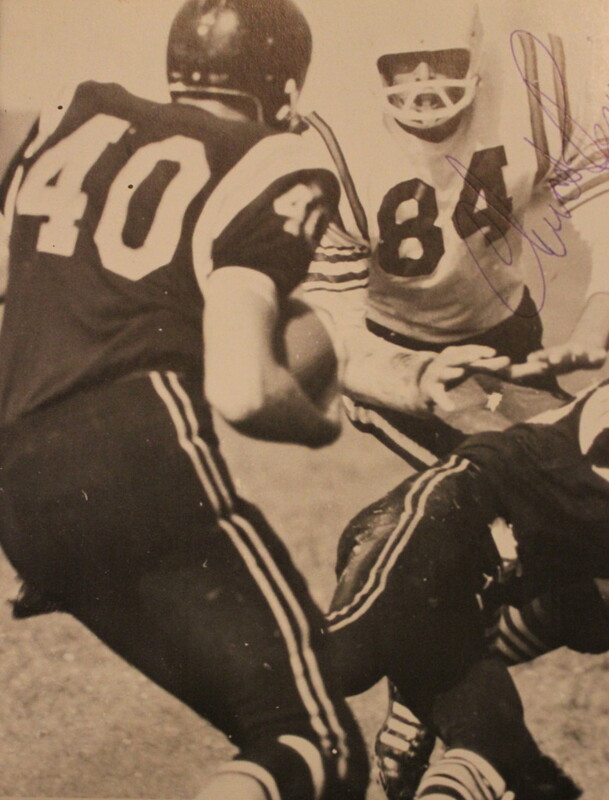 Also, the Wolverines would go back to a white helmet in 1963. 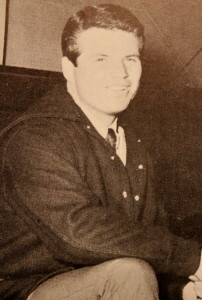 Steve Besio was a standout halfback who was inducted into the Hall of Fame in the Spring of 1964. 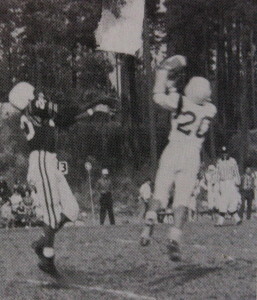 Steve the brother of John Besio wore number 20 and was a good all around athlete. 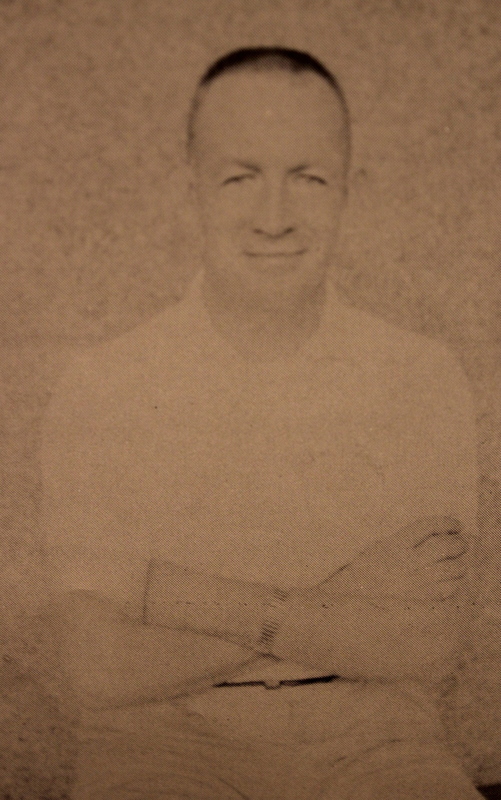 Butch Smith was inducted into the Hall of Fame as a Baseball player, Basketball Player, and he was Truckee’s athlete of the year. He was also the senior class president. 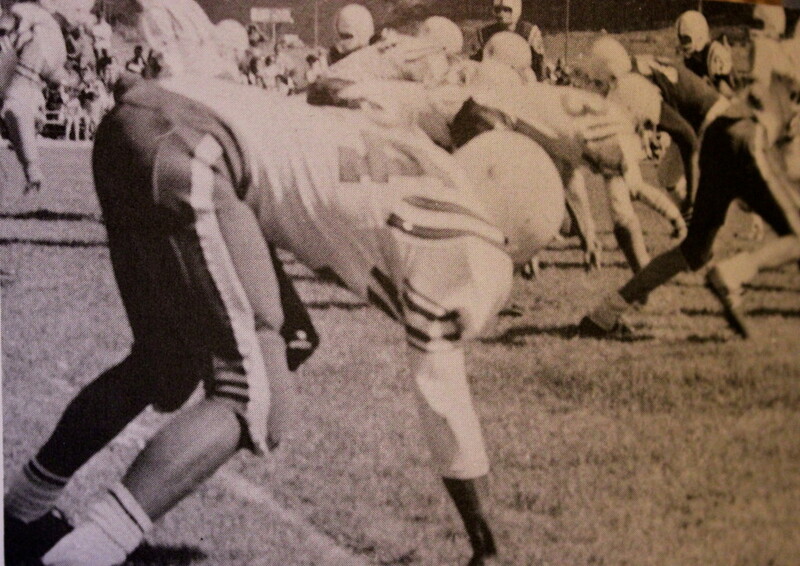 Butch was a three year starter on Varsity and was the jack of all trades. He would go on to be an educator and coach for many years in Hawaii. He also was a teacher and coach for Truckee in 1999-2002. 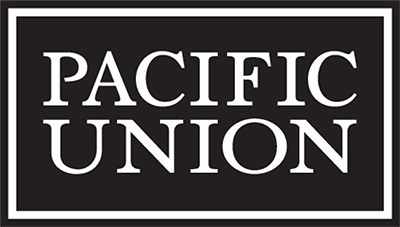 Truckee joined the Pioneer League in 64, which consisted of Colfax, Colusa, Del Oro, Wheatland, Lincoln, Live Oak and Truckee. 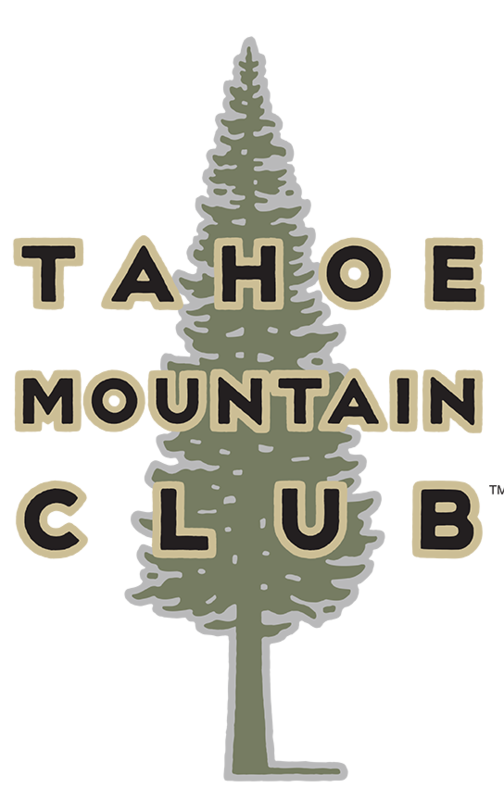 It is the first time since 1960 that Truckee would be part of a division. Colusa, Wheatland, and Colfax were all ranked in the top five of northern California. Truckee goes 4-4 and proves to be a team to take serious going forward. If you compare this season with the previous four, it was a huge success. Truckee is adjusting a little to their competition. 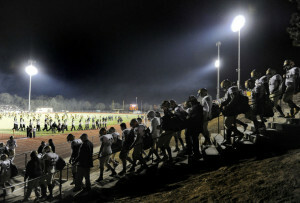 2010 A Visiting team makes the walk down the stairs of Del Oro’s Stadium explained by Besio. Looking back at my junior year (1964-65) our record as you indicated was 4-4. The good news was that we won our last three games including the powerhouse Del Oro. >>>>NOTE Del Oro’s football stadium is very similar to Surprise Stadium…. The teams have to walk down a large stairway to get on the field. In fact our stadium may have been inspired from Del Oro’s stadium. 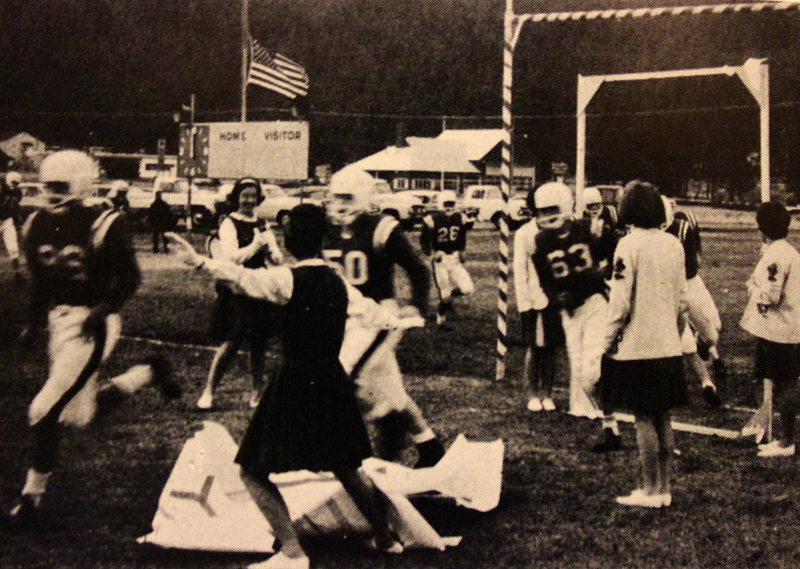 The Wolverines have been running through the cheerleader’s signs from the North End Zone for over 50 years. Also a good look at the old school score board. Also, off in the distance is the old PUD building. 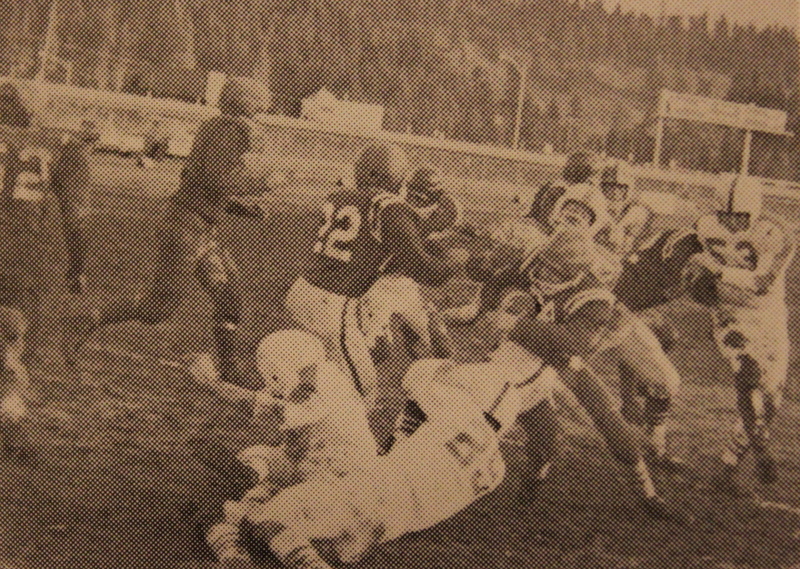 In 1964 three of Truckee’s four wins were shutouts. Truckee started off with a tough loss to Loyalton 6-13. Truckee had not played Loyalton in many years and in the 50’s developed quite the rivalry. 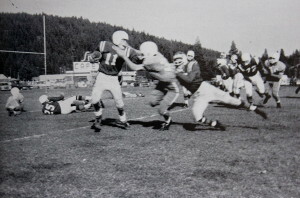 The first game Truckee ever played in was against Loyalton and lost 0-60. 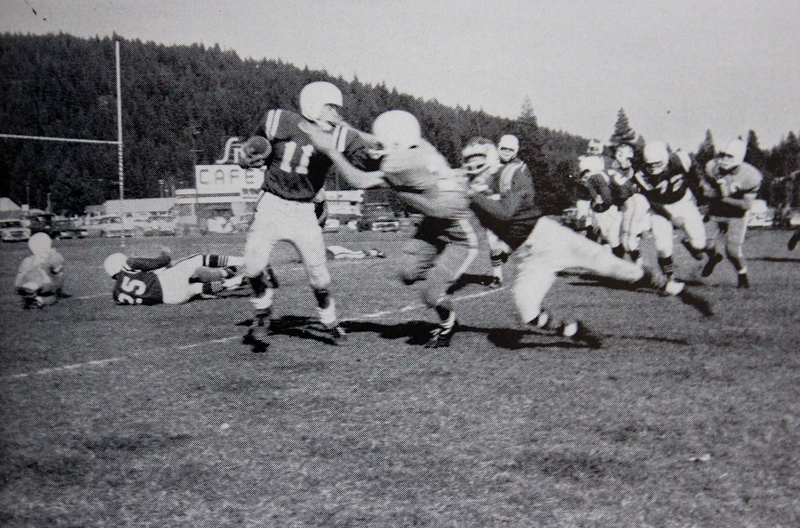 Though the score was much different the outcome in 64 was the same as Truckee lost their first game. The next game Truckee played at Colfax who was a top rated team. Truckee hung in there for most of the game locked at 6-6. But in the end it was the Falcons who came out on top 6-13. Truckee starts off the year 0-2 and it is looking more and more like years past. However, the Wolverines just played two really good teams in very close match ups. The following week Truckee played Live Oak and shut them out 26-0. The Wolverines were trying to ride the momentum into the next week when they were to play Wheatland in their homecoming game. Wheatland came out very strong and went up on Truckee big at halftime. Truckee’s, Greg Moore, exploded in the second half taking over and bringing Truckee within a touchdown. However, Truckee ran out of time and lost 18-26. This was the turning point in their season. Though they were 1-3, they knew they were better than their record. They were going to need every bit of confidence the following week as they were taking on Colusa. Colusa did not under estimate Truckee and shut them out 0-26. 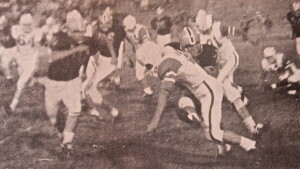 Colusa was 1964’s Pioneer Champion. Truckee was 1-4 going into their last three games and they could have easily gave up. But that is not in a Wolverine’s nature and Truckee went on a run winning all three of their last games including a blowout win over Del Oro 31-6 as Mr. Besio explained above. 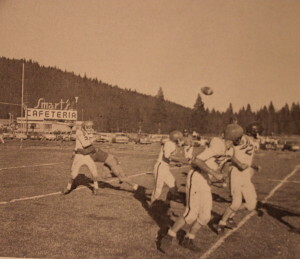 The game verses Del Oro was originally scheduled to be played in Truckee. 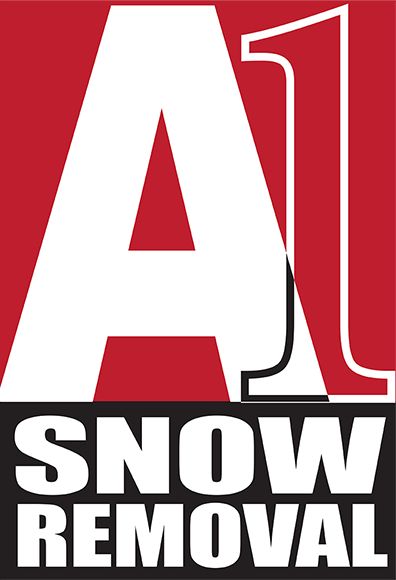 However, the snow was falling and had no signs of stopping. With threats of the game being canceled, Truckee decided to load up and bring the game to Del Oro, and that they did crushing them 31-6. It would be the first time the Wolverines beat Del Oro and a memorable one. Interesting that Del Oro couldn’t make to Truckee but Truckee made it to Del Oro. Truckee bus drivers are not scared. 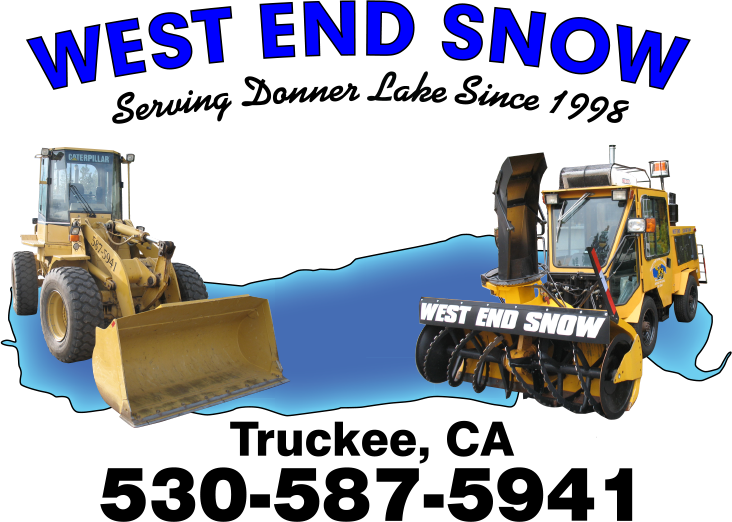 It seemed like it took an awful lot of snow to get a snow day when I was growing up. The game was played on November 14, so I can see why the snow was falling. That is currently around the time we play in the Semi-finals and it seems like just about every year we host a playoff game in the snow at Truckee. During the end of the year win streak Truckee also beat Lovelock 26-0 and Lincoln 13-0. 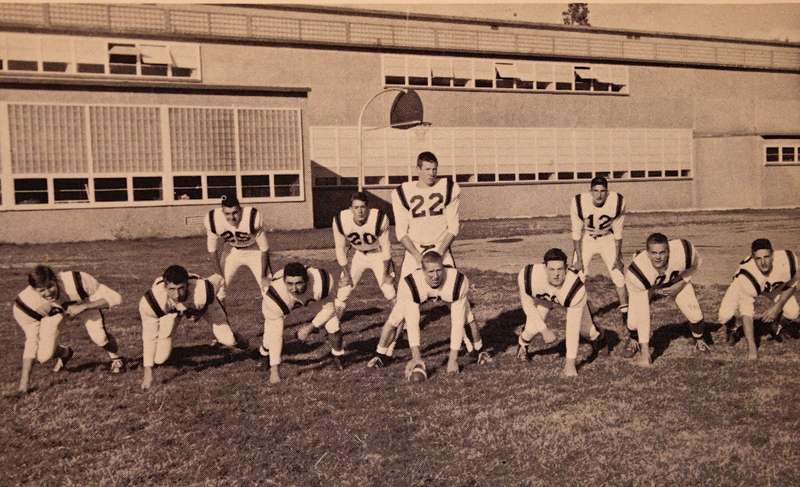 If you take out the two losses to Wheatland and Colusa, the 1964 defense only gave up 34 points. Not too bad but Colusa and Wheatland both put up 26 points. Though it would be years off, the move back to Nevada would make a lot of sense as the Del Oro type incidents increased over the coming years. 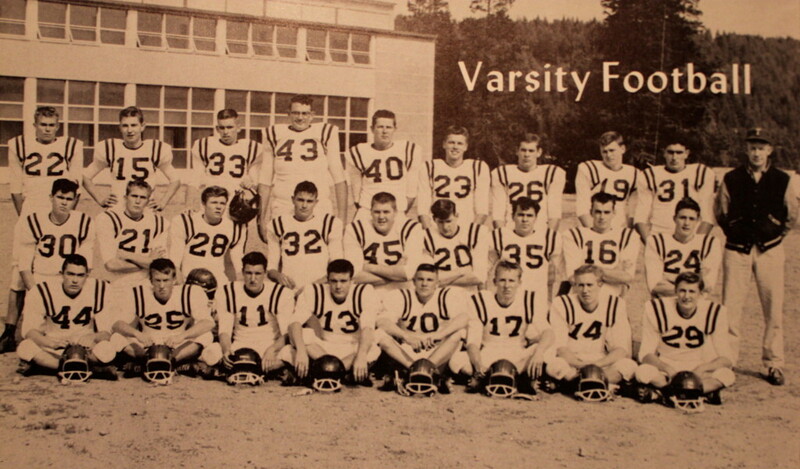 The 1964 football team was one of very few bright spots for the football program in the 60’s. They had two really close games in the beginning of their season losing to Loyalton 6-13 and losing to Colfax 6-13, which at the time was a perennial power. If things would have gone slightly different in those two games Truckee could have made a run at the division. Greg Moore was the QB of the 1964 football team and was voted into the Hall of Fame for the 64-65 school year. Greg Moore was noted as a standout player by John Besio and he was a 3 year starter on Varsity. It also appears that there is a hint of Black in Truckee’s uniforms. Hard to tell being a black and white photo but it looks like there is indeed black. Our coach was Guy Wilson and assistant Bert Greene and it was their last year of coaching. I am not sure but it is quite possible that our football team was winless this year. As a senior, I should have remembered such a season. The fact that the scores were not put in the yearbook and the coaches retired after this year leads me to suspect that we might have gone winless. Also our Outstanding 6’5″ quarterback,Steve Felte, was out for the season with a broken leg. With Steve Felte out with an injury it was Greg Schwartz who would take over at the QB position. Greg’s family was new to the area. 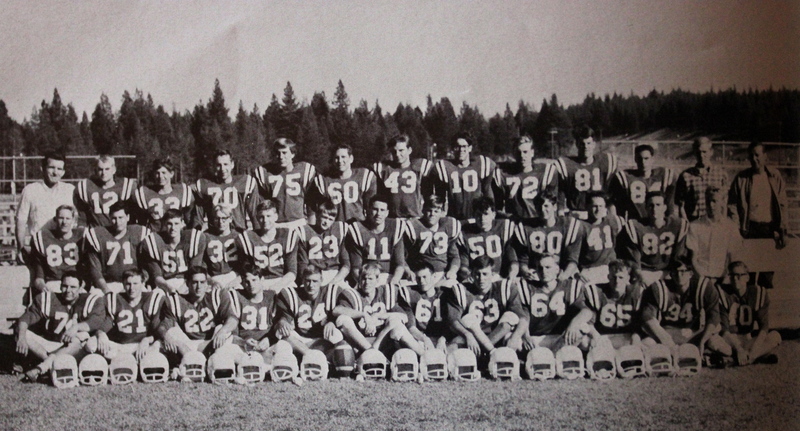 They moved to Truckee from Michigan and it appears that Greg adjusted well as he was a team captain and leader of the 1965 team. Schwartz also got it done in the classroom as he was the valedictorian of the class of 66. So, not surprising that he was successful and caught on quick. The coaching staff at Truckee has found that there is a direct correlation to GPA and championship football teams at Truckee. The 65 football season was a major disappointment after the team experience some success the year before. 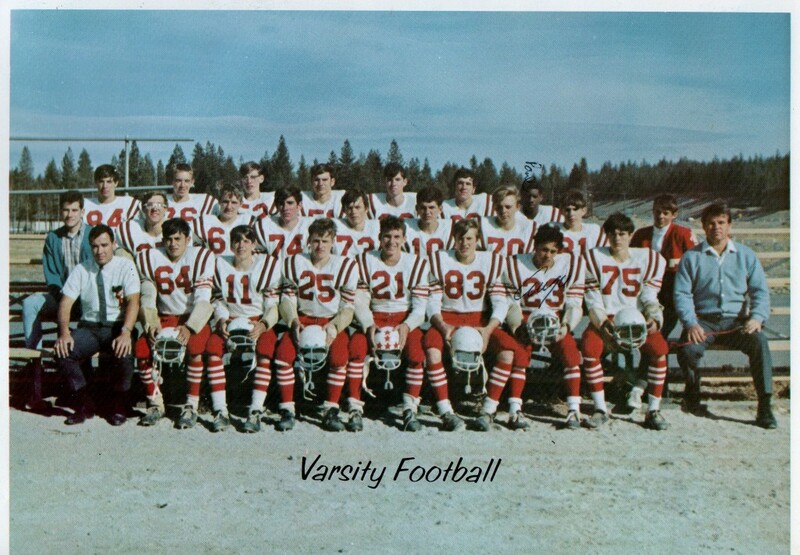 Their less than desirable season had nothing to do with numbers as Truckee suited up 35 Varsity players. 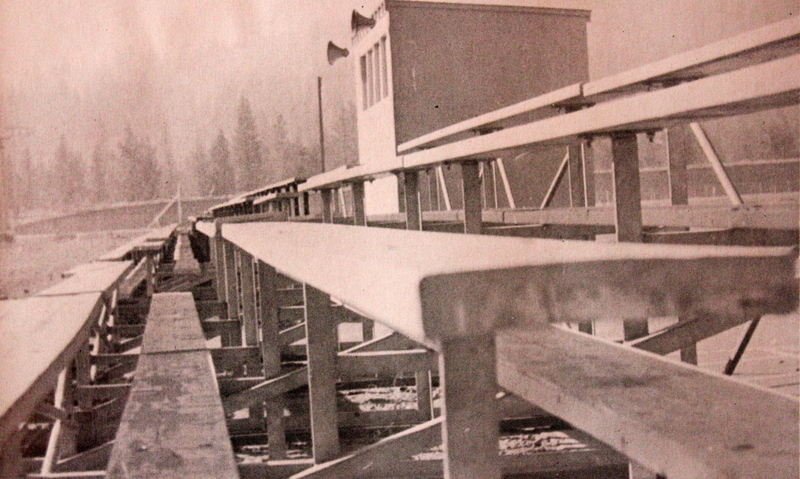 Truckee as mentioned before was playing in the Pioneer league in 1965. The Wolverines Schedule went as followed: Foothill, Loyalton, Corning, Colfax, Colusa, Del Oro, Wheatland, Lincoln, and Varden. 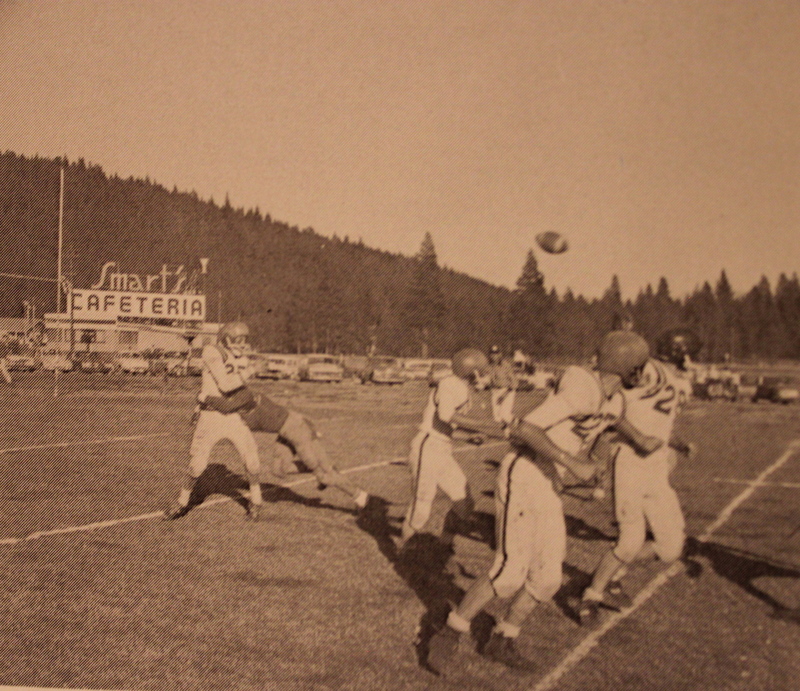 The only game with a score was Truckee’s Homecoming game vs Colusa and Truckee lost in a heartbreaker 12-19. According to the yearbook there were some bad calls that did not go Truckee’s way, nothing new! The 60’s have not been kind to the Wolverines at this point and they desperately need some success going forward. Coach John Prida comes from a new school in Reno, Wooster, to become Truckee’s 7th coach. Another coaching change and Truckee’s numbers were down. Prida is a Nevada native coming from Pershing County. 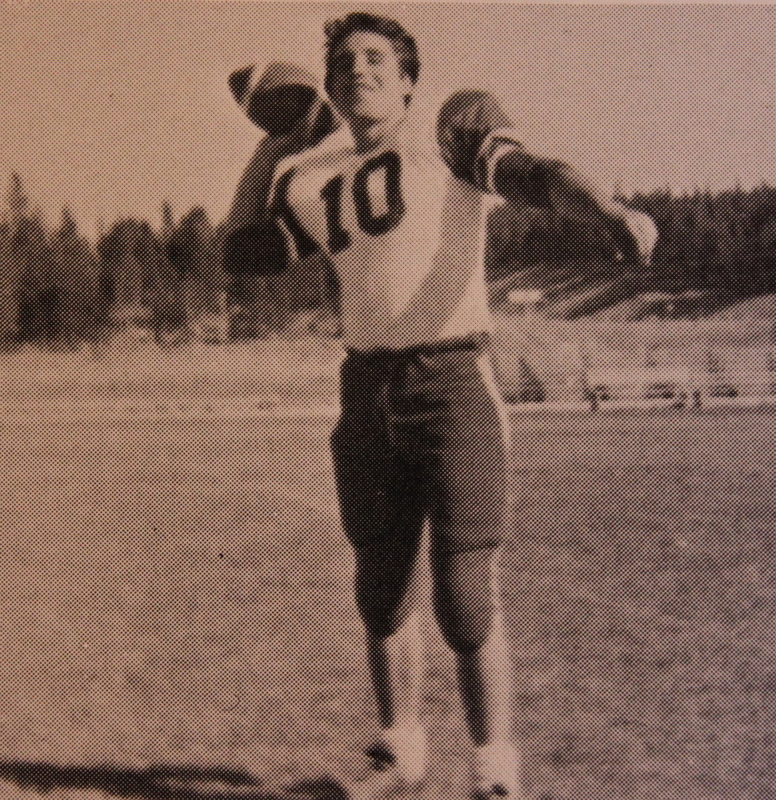 He graduated from Lovelock in 1958 where he has 3 Varsity Letters in Football, Basketball, and Baseball. After high school John Prida started for 4 years at Cornerback for the University of Nevada. 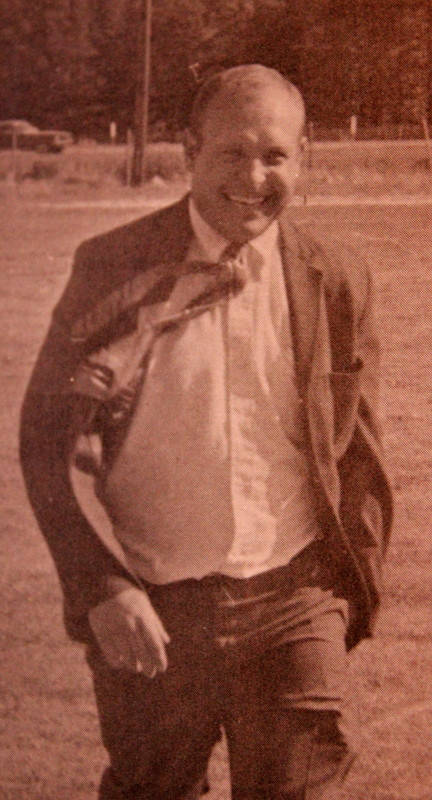 He got his teaching credential and then his masters in administration in 1964. 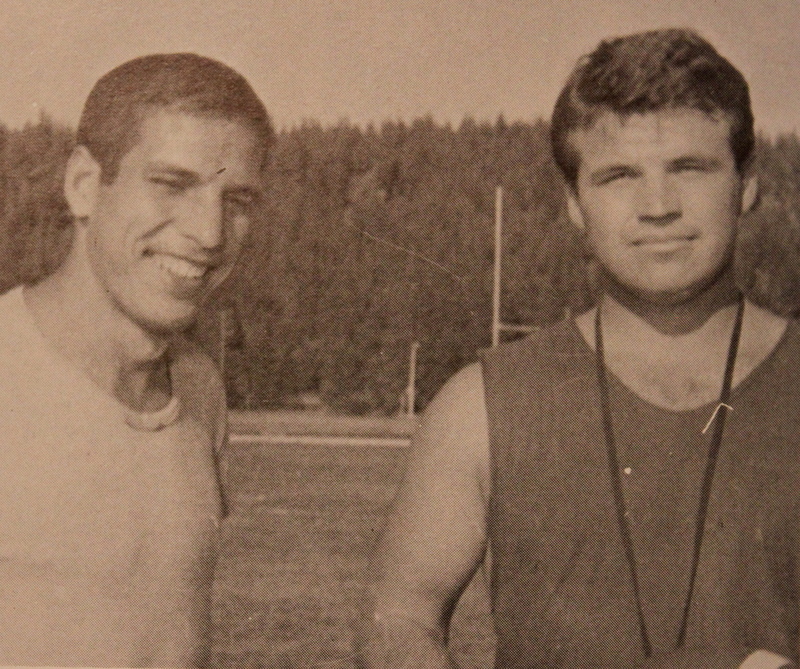 He started his career at Wooster and then made his way up to Truckee in 1965. He spent two years at Truckee and I am sure had some influence on the hiring of college teammate Dale Landon. Prida made his way back to Nevada with a short stent at Incline High School and then off to Yerington where he would be become a High school Vice Principal. In 1977 he became Yerington’s High’s Principal and eventually would become the principal at both the Middle School and Elementary School in Yerington. He retired from the Lyon County School District in 2003. On March 27th 2014 John F. Prida was inducted into the NIAA Hall of Fame for his influence over the years out in the Yerington community. 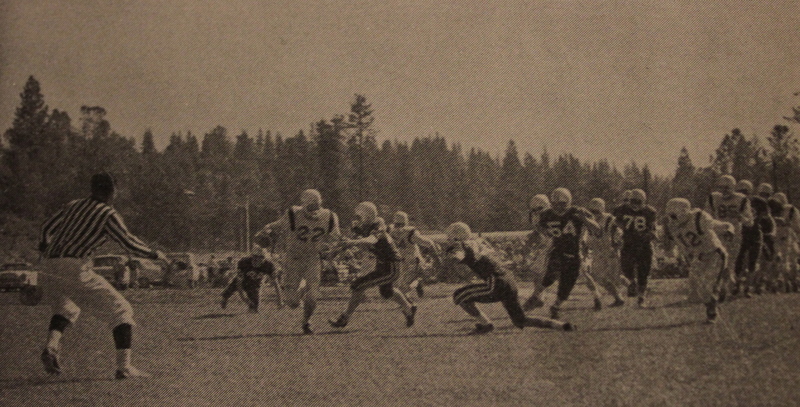 Unfortunately his time in Truckee was the most successful as the Wolverines struggled to win. 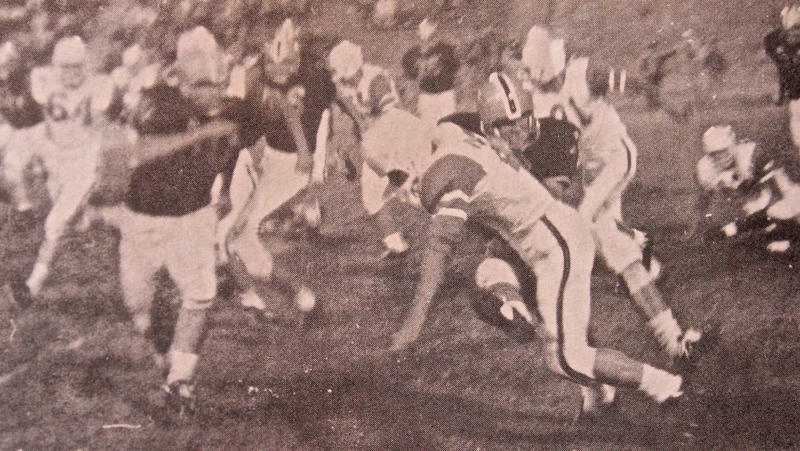 The next year 1966 – 67 is a year likely that could have gone winless under coach Preeda. I based this on looking at the talent of the Junior class of the 1965-66 year. It was not a very athletic group of players. The 1967-68 year one of my best friends Henry Frates was on a Dale Landon team that I believe was co-champions in the Pioneer League. 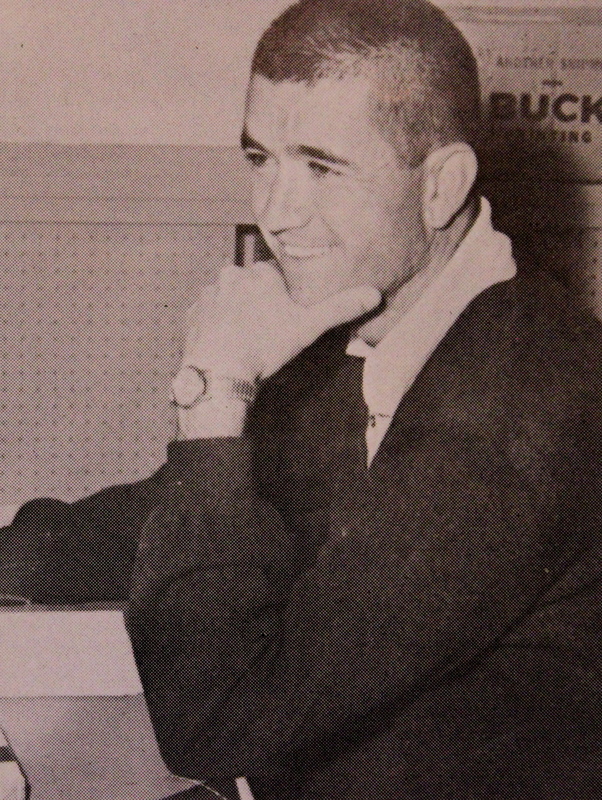 Dale Landon began coaching during the 1967-1968 season. I remember hearing about Coach Landon. He was well respected and had the ability to really motivate the players. According to this timeline, only two years could teams have gone winless back to back. Besio mentioned above that this team was lacking athleticism and it was also short on numbers. This team suited up just 25 players to face a very tough Pioneer League schedule. This team did have the speedster Ron Smith, Butch Smith’s little brother. Ron was had very good speed and was a junior in 66. 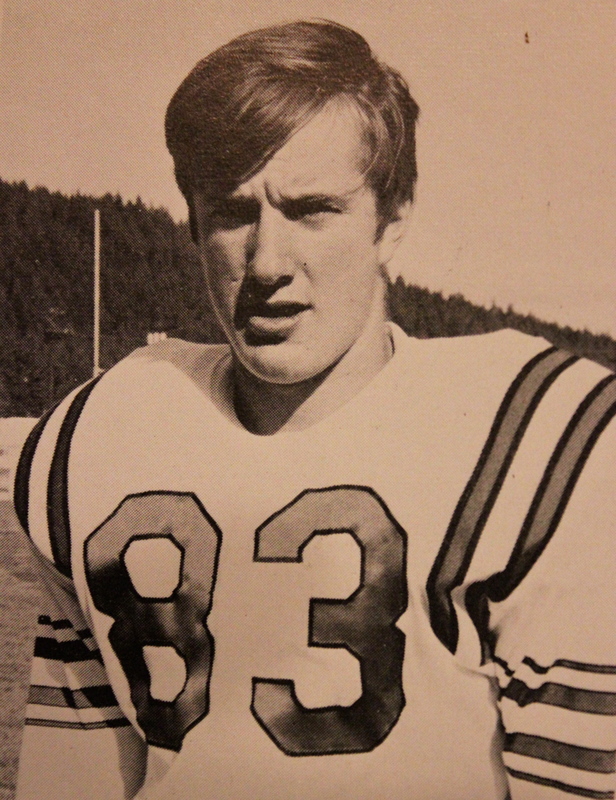 Ernie Marier is also worth mentioning as he would be a Football Hall of Fame inductee at the end of the school year. He was a 3 sport letterman. The days of success in the Nevada League are long gone and far from the memories of the many local Wolverine Fans as they struggle to compete in California. Coach Velasquez (left) and Coach Landon (right). Landon was the mastermind behind Truckee’s quick turn around. Every season of every team has moments, memories, and stories to be told. But then their are seasons and teams that have just a little bit more to them than a story. So, when I really started digging into the Truckee Wolverines of the 60’s it became very clear that the story of this decade was the 1967 football team. There is very little, again, in the yearbooks about this season. But there are witnesses around to tell their story and one of those witnesses was the head coach of the 67 Wolverines Dale Landon. Dale Landon was hired after another dismal season, and became Truckee’s 8th coach and the 5th coach for the Wolverines in he 60’s. The Wolverines are coming off Back to Back seasons of not winning a game. 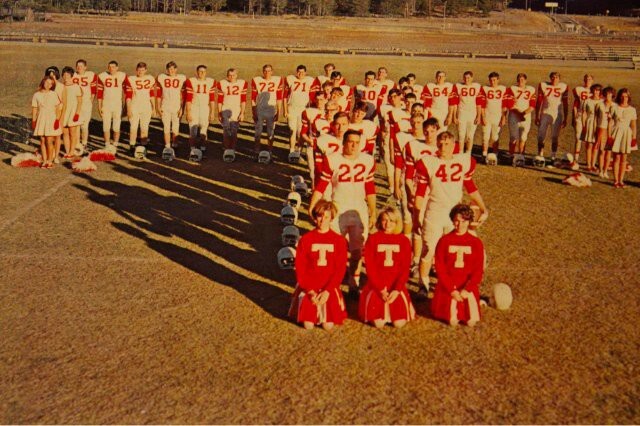 Also going into the 67 football season, Truckee had only won 7 games to this point in the whole decade of the 60’s. 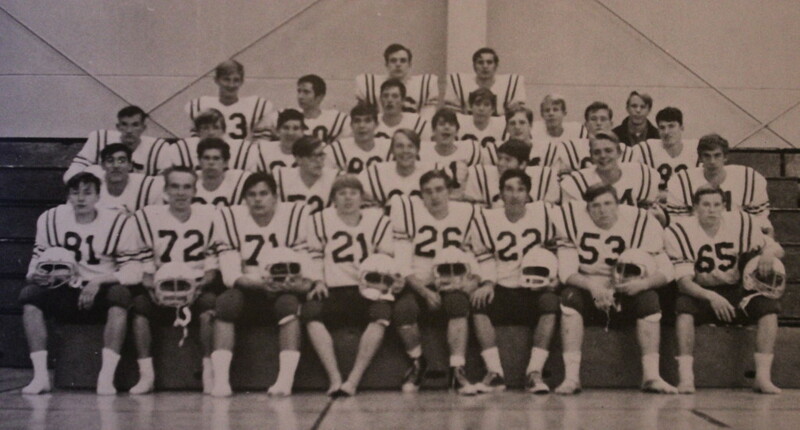 I like to call the 60’s the Dark Ages for the Football program. 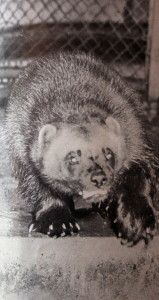 The 60’s have had the least amount of information in the yearbooks and theWolverines produced the least amount of wins. I have talked to 3 players from the 60’s and they have struggled to come up with details. Though they have had some great stories. 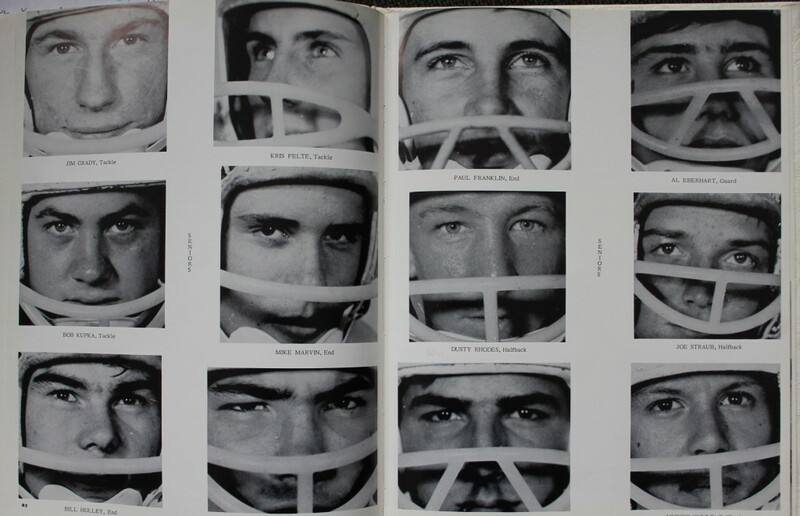 But in every Dark Age emerges the light and this 1967 team is that light for the decade. 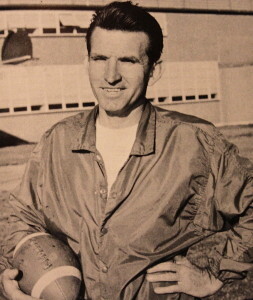 In 1967 Dale Landon took over the head coaching job. 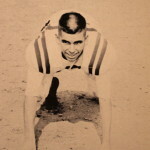 Dale, also known as Dixie, had been a standout linebacker at the University of Nevada and had worked for one year after graduation as an assistant coach on the Nevada football staff. Dale says that the head coaching job at Truckee was his first “real job,” and he sure had a challenge ahead of him turning around the Truckee program. 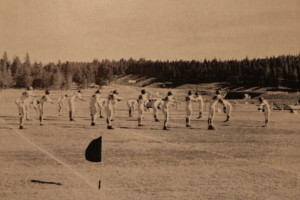 Truckee was in the Pioneer League of the California Interscholastic Federation in those days and faced tough teams from Colusa, Colfax and Wheatland. Dale managed to put together a winning season and Truckee became co-league champs with Colfax. (21) Curt Wurst Breaks through the sign under the goalpost. Wirst was a team leader and one of the better players on the team. Unfortunately for Truckee, Dale was offered a job after just two seasons and moved on to coaching the offensive line at UNLV and he left to coach at the college level and never coached high school football again. 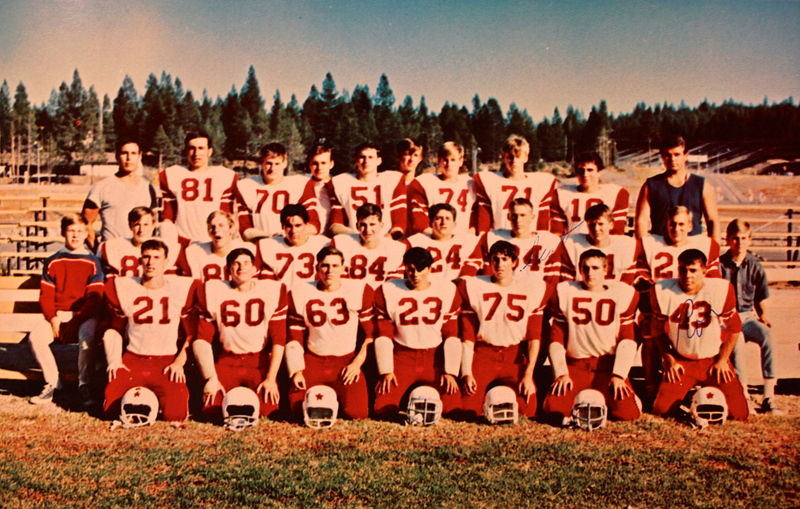 That 1967 season was important for Truckee because it snapped a four-year struggle. Truckee had multiple no win seasons and Dale led his team to a shared league title. 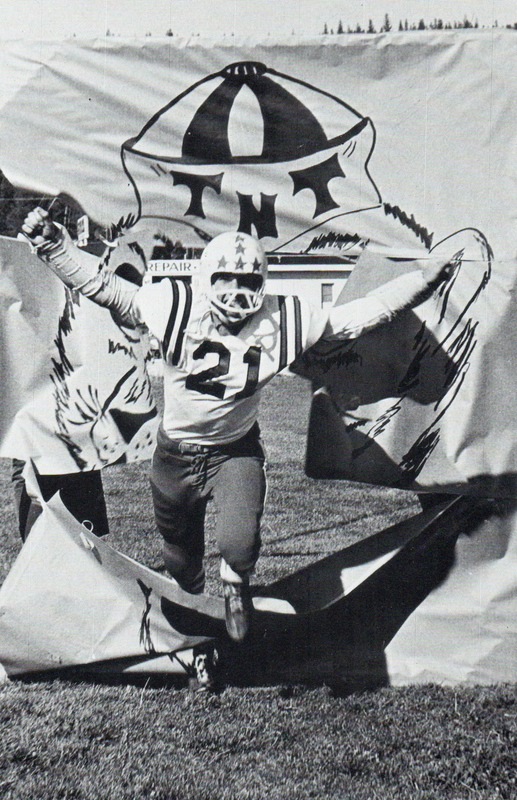 Besides being a great linebacker, Dale was the intercollegiate heavyweight boxing champion while at UNR. He fought briefly at the professional level. Later in life he became the Nevada State Archery Champion and was a fast-pitch softball pitcher and the best handball player in the state of Nevada. Dale came from Getchell Mine, Nev., and graduated from Winnemucca High School. Today Dale lives in Reno and is currently on a waiting list for a heart transplant. Dale Landon unfortunately passed away just days after this interview. Interview 12-14-2010. “Courage, pride, tenacity and astuteness make a Champion always pressing onward, deleting any pessimistic action in mind and body. To quit was not in the vocabulary of the men that had the courage to stay out for the team. The will to win was prevalent at all times as was the incentive for maximum effort, no matter how strong the opponent. Courtesy Photos – Photos of Dale “Dixie” Landon that were part of his memorial program show the University of Nevada, Reno alum and athlete. Landon died on Dec. 26 and his service was held on Jan. 11 in the Sands Regency ballroom. Northern Nevada’s answer to all-around athlete Jim Thorpe died Dec. 26. His name was Dale Landon and he was one of the best athletes ever to attend the University of Nevada, Reno. A muscular, 6 foot 1 inch tall athlete, he was adept at football, boxing, track, softball, handball and squash. Even at 70 years old, before his final debilitating illness, Landon was a daily workout visitor at the Reno Elks Club. I guess you can say that 1968 was a disappointment in comparison to the previous year. But in comparison to the rest of the decade the season would be considered a success. Truckee battled numbers again as only 21 players stuck out the season. Even after a successful year coach Landon could not recruit what would be considered a decent amount of players. 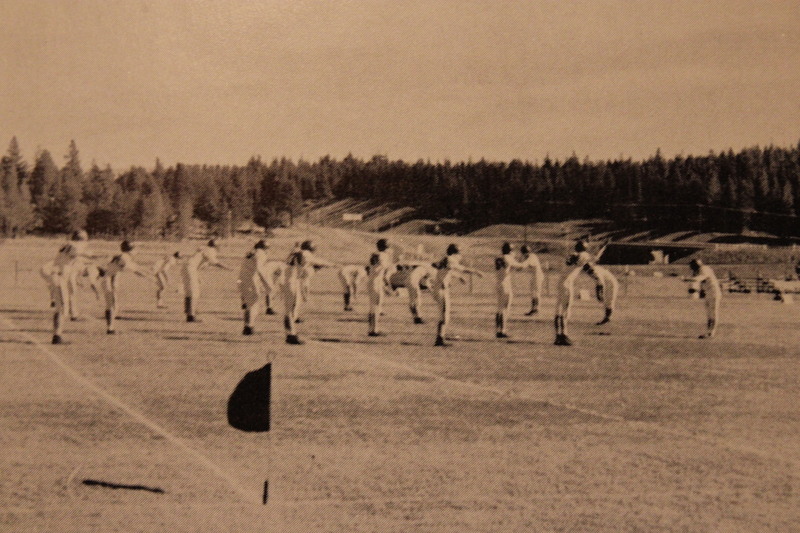 Throughout Truckee history anywhere from 27-33 players would be a decent amount of players. 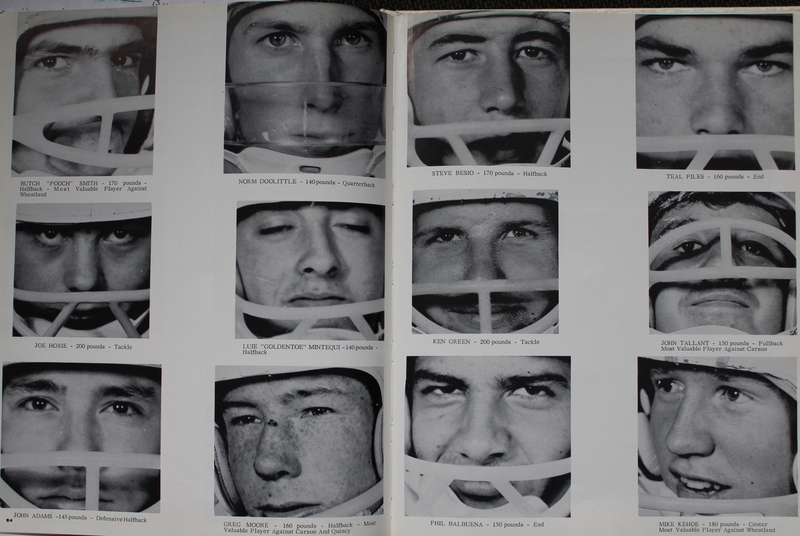 Getting just 21 players would be disappointing coming off a great year like the 1967 season. But the numbers are the numbers. That is one of the most impressive things about Truckee’s success. We are a small town and a public school. We don’t get to recruit and we rarely get transfers. Yet we compete year in and year out to get into the playoffs and even go far into the playoffs often playing schools 2-3 times larger than us. Coach Landon didn’t let the low numbers effect his attitude towards winning and competing the best they could. The Wolverines had some good players returning in 68′ but the low numbers no doubt had an effect at some point during the season. It sounds like this team competed in every game whether they won or lost. 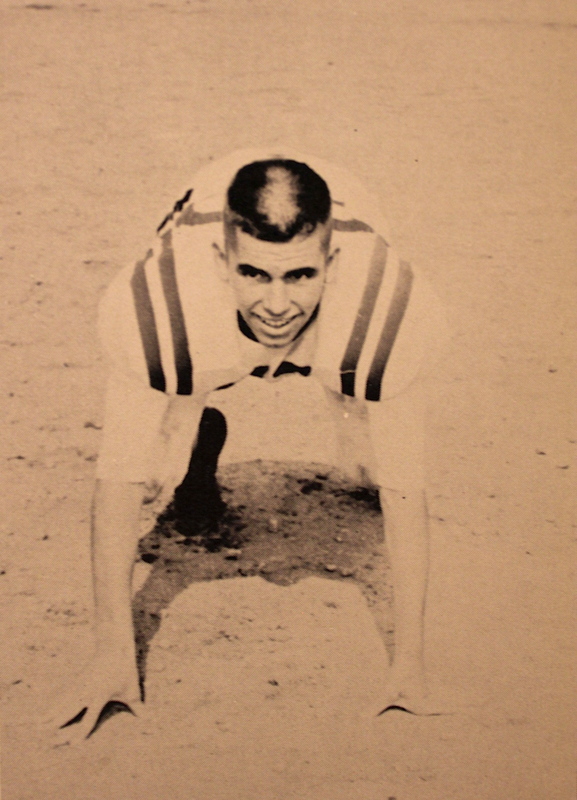 Curt Wurst was a senior and a leader in the team. The team overall had good experience from the year before but just could not reproduce the same type of success. There is no schedule or game breakdown in the yearbook but good sources have lead me to believe Truckee was 3-6, 4-5, or something close to that. Again I will continue to look for information throughout the 60’s. On this team was Brian Smart who had a brother on the last championship team Truckee had in 59. 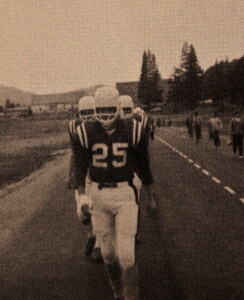 Brian’s kids would play for Truckee in the 1990’s and in 1993 they were part of a Championship team. It sounds like the 1968 was truly a bunch of Wolverines. Their team was small in numbers and in size. They were playing in a very, very tough division and yet won a League Championship a year prior, which is as far as you could go in the 1960’s. The playoffs started in the 1970’s I believe. Brian himself coached at Truckee from 1987-1993. As I mentioned in the 1960’s portion the Smart family has been in town many many years. They have owned a family restaurant in the area dating back to the early 50’s. Brian currently runs the Wagon Train in historic Down Town Truckee. He takes care of every Wolverine that comes through his door. Meaning he that there is a Wolverine kind of respect between players and coaches and I have never left the Wagon Train hungry and neither has any other Wolverine. Thanks coach Smart! Truckee is really a great community with that small Town atmosphere. It is hard to go any where in Town and not run into someone you know. It is the small town feel and the merchants that make it so great! There is a lot of home town Pride in this little mountain community. Truckee’s next coach Clark Burton is hired and becomes Truckee’s 9th coach. 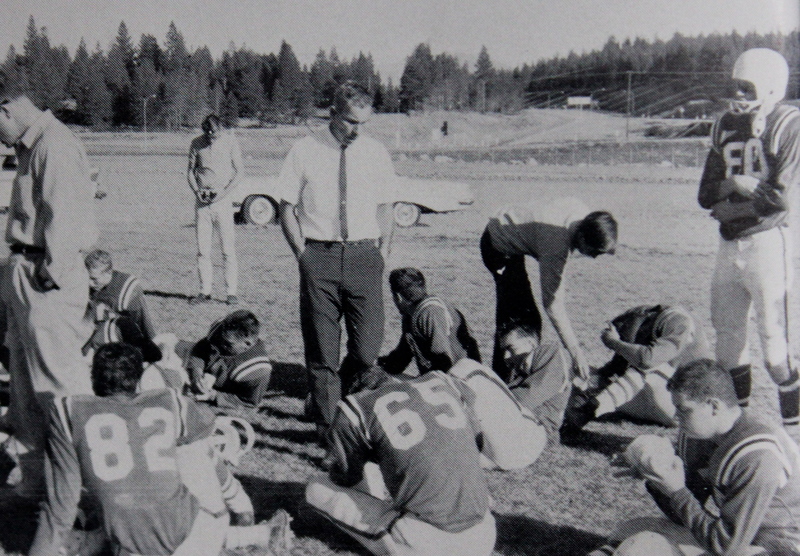 Truckee would see SIX different coaches through the 60’s and not many statistics were available. The 1969 yearbook might have been the worst out of all the yearbooks. Pictures are not labeled and there is little to no information. This team had 31 players on it but again no information other than that. It does appear that the Basketball team won first place as it is labeled on their team page. So we can assume the football team did not follow up their championship year with another one. At this point there was not much continuity as the Wolverines battle for consistency. They had to move from playing schools their size in Nevada to playing much bigger schools and a much more challenging schedule in California. 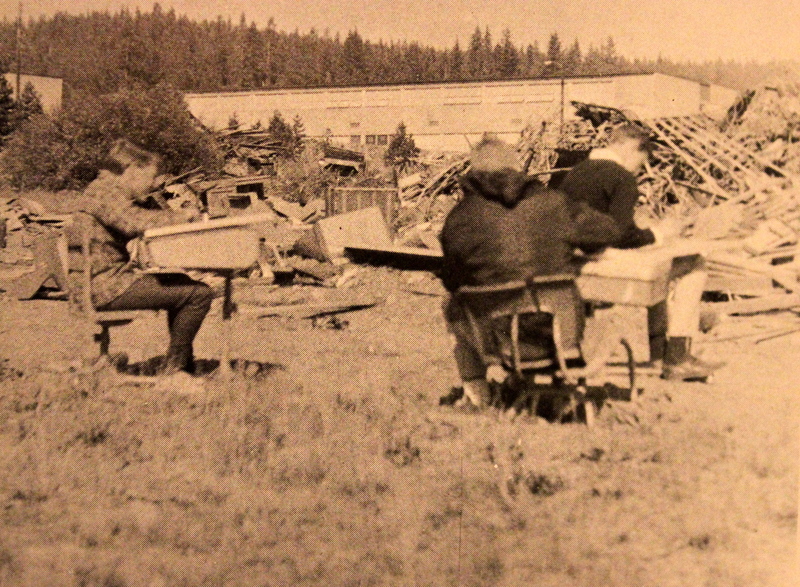 1968 An Art class sits in a junkyard for an assignment. Little did they know they were sitting on The Sacred Ground of Surprise Stadium…Coming Soon to property near YOU! I like to call the 1960’s the “Dark Ages”. I do not mean any disrespect to those who played during this era. I have very little evidence of Truckee’s success, or lack there of, other than a couple years. The information that I do have would indicate that Truckee was not very good in the 60’s with the exception of the 64 and 67 seasons. There are 8 other years where Truckee struggled to win a game and in most of those years Truckee didn’t win a game. 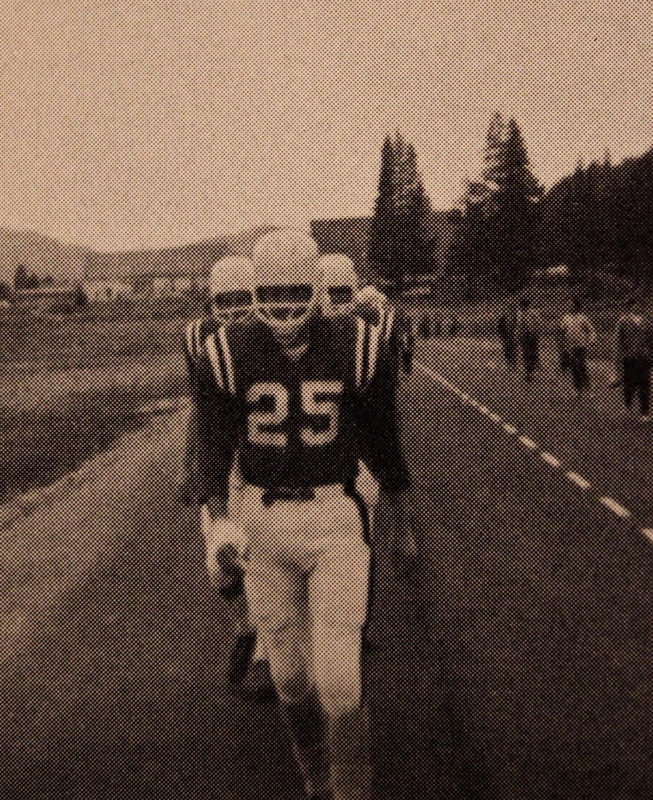 So, it was a dark time for Truckee Football. By word and those who lived through these hard times I have come up with a record for the 60’s that I feel is pretty accurate. Truckee wins 19 games and loses some where close to 61 games. Ouch! 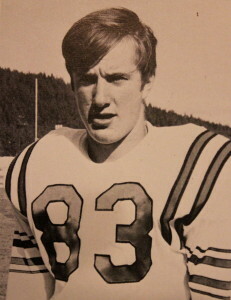 However, there was hope with Dale Landon as he began to turn things around in 67 but would leave shortly after spending just two seasons in Truckee. Truckee shared a league Title with Colusa and Del Oro. Remember 10 years prior Truckee won a Northern Nevada Title being Co-Champs with Winnemucca. 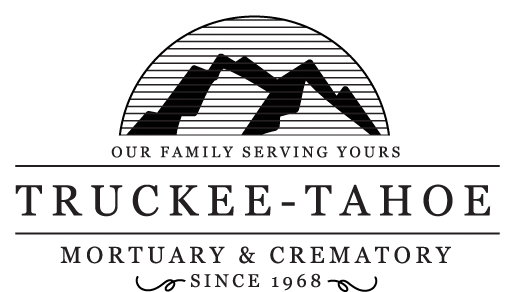 So, this would be the second time Truckee would share a Title. Truckee in its first two decades is 43-99-1. Other things worth mentioning. Truckee got a new Football Field when the freeway came through. Moving to California to play football hurt Truckee’s success. 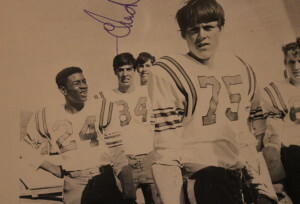 Hey, was trying to remember name of co-captain with my brother Greg Schwartz who was quarterback in 1965. 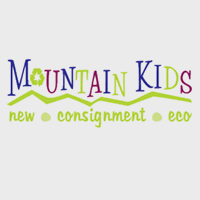 We had just moved here from Michigan.Found out from you website john besio. 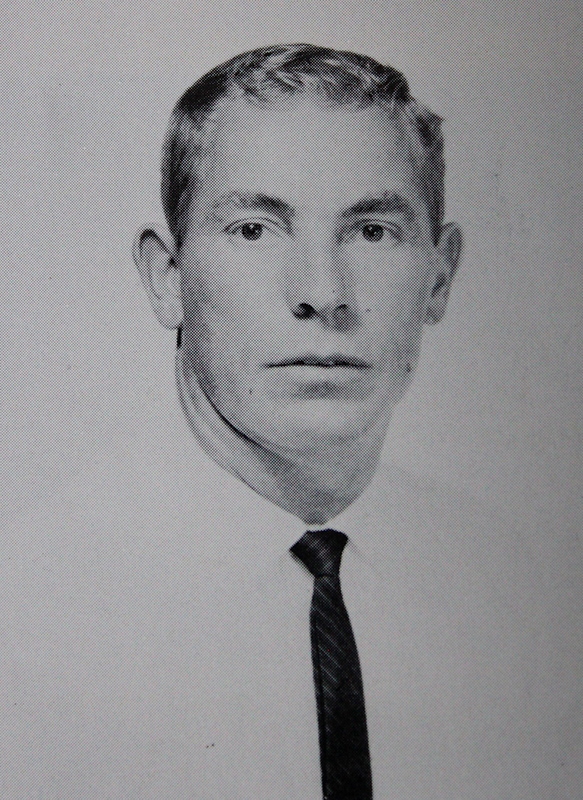 Greg was also valedictorian in 1966.you could add this info to your 1965 info. Plus I saw that Steve Felte was injured. I graduated with Cal Felte in 1972!!!!!! Thanks for the info, Pam! We love to hear more information about those years. As you can see, the site is still coming together and we’re hoping to expand on all of the years with insight from past alumni like yourself.